Julee Tillman, creator of Verve Stamps! 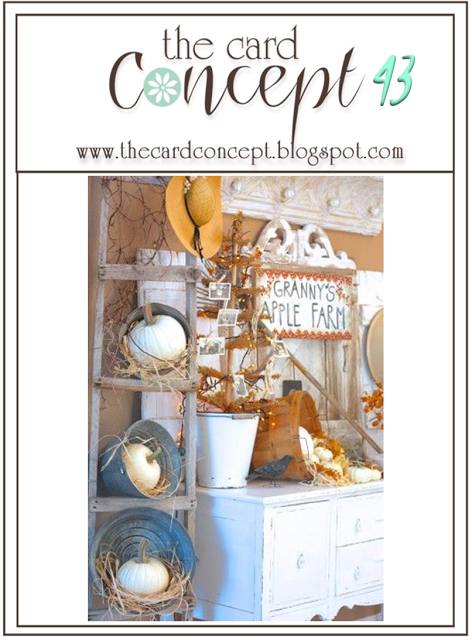 I am a BIG fan of Julee's stamps and her stamped creations! So I decided to make a card featuring some of her FABULOUS VERVE stamps that I have! The fun flowers on my card were made with the Verve Happy Place stamps. I just love these funky flowers! I colored them with Copic Markers, and added Glossy Accents and Liquid Pearl to give them some definition. The sentiment is from the Verve Better Together stamps. We hope you will join us again here at The Card Concept Challenge. We just LOVE seeing all of your beautiful creations! Don't forget to visit my teammates for some fabulous inspiration! I LOVE this card! Your coloring is outstanding -- that blue is amazing! Beautiful Mackie! Those stamped flowers are so pretty! Love the liquid pearl detail and the fun sequins scattered about! I just LOVE all the blue with pops of yellow!! Oh my word, this is absolutely amazing. Like an explosion of AWESOMENESS! Love, love, love! This just pops! 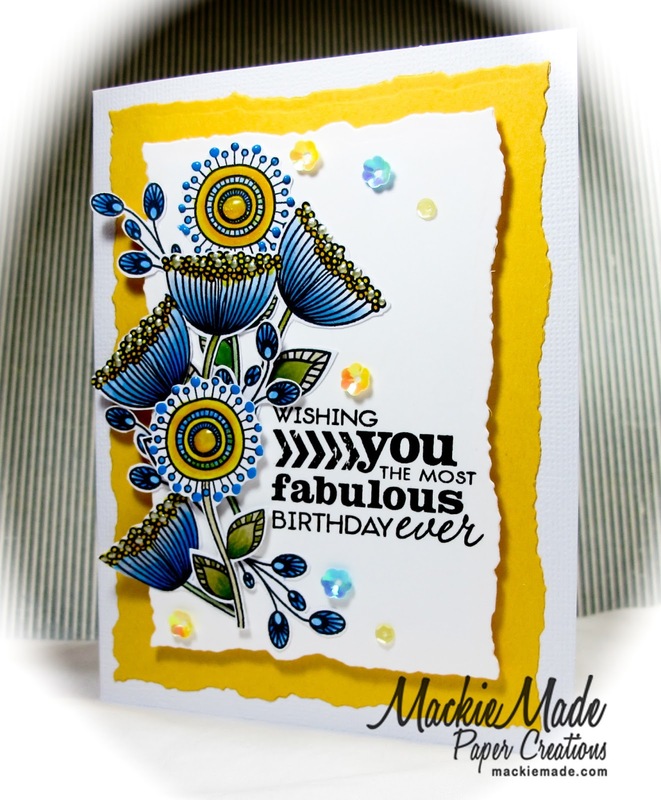 I love the bright colors, such a CUTE card Mackie! This is absolutely GORGEOUS Mackie!!!!! I love your beautiful stamping! It is such an amazing card....as always! GASP!!!!! This is divine Mackie. 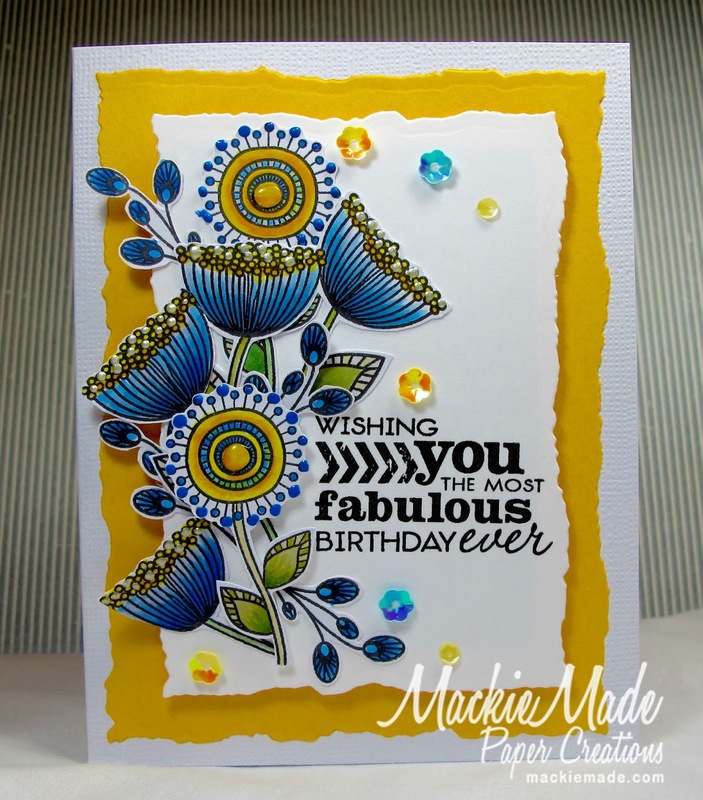 I love the yellow and blue color combination, such a FABULOUS card!! OMG - look at that blue!!! STUNNING CARD! Your card is GORGEOUS! I love the colors, the design, the embellishments, ... WOW! Oh, this is so fun and fabulous! WOW! Mackie! This is so very stunning I lovethose flowers and how you have them colored so beautifully and bright! Love that collage of flowers...they are one of my favs!! The colors are perfect too! Oh, my! Gorgeous card! Lovely colors and details! This is wonderful, Mackie! I love the colour combo and how you've layered the images. Fabulous! Wow, love this card with the dramatic image plus the yellow, blue, black and white- just spectacular!! So pretty and cheerful. Love the blue with the yellow. Paper Sweeties November Release Party!